The Juried Plot Application Process for this year’s BURN2 event is underway. In all, 20 plots will be given away to suitable proposals, as selected by the BURN2 Art Team jury. Plots will be scattered across the BURN2 regions, and comprise five 2048 sq metre parcels and 15 1024 sq metre parcels. Anyone can apply for a Juried Plot, from newbie builders to seasoned, well-known artists. The Art Team jury will select the winners, judging applicants on artistic merit and build interactiveness. BURN2 ends on October 27th, 2013. The theme for this year’s even is “Cargo Cult”, although there is no requirement to build to this theme. Builders are, however, required to adhere to the Ten Principals of Burning Man and BURN2, the BURN2 Builder Guidelines, and the Second Life Terms of Service and Community Standards. To apply for a juried plot, please complete the application form on the BURN2 website. I find the Machinima Open Studio Project intriguing, as past posts on the subject demonstrate. 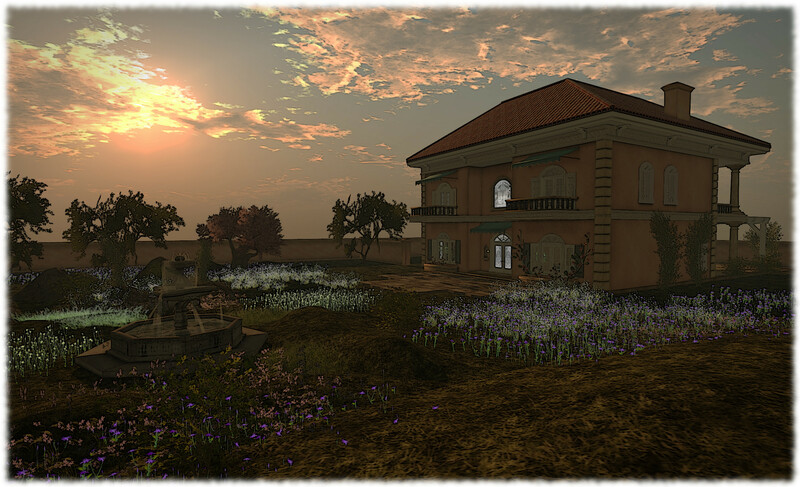 Chic Aeon’s work to provide machinima makers and photographers with a range of facilities and sets is always evolving. As such, I tend to periodically pop back and see what is going on and look at what has changed since my last visit. I did so at the start of August, knowing that Chic has recently spent some time adding, tweaking and updating, and was curious to have a look at what’s changed / arrived, and report back on some of the updates. At the ground level, there are some new buildings, a place to go fishing (complete with casting animations, etc. 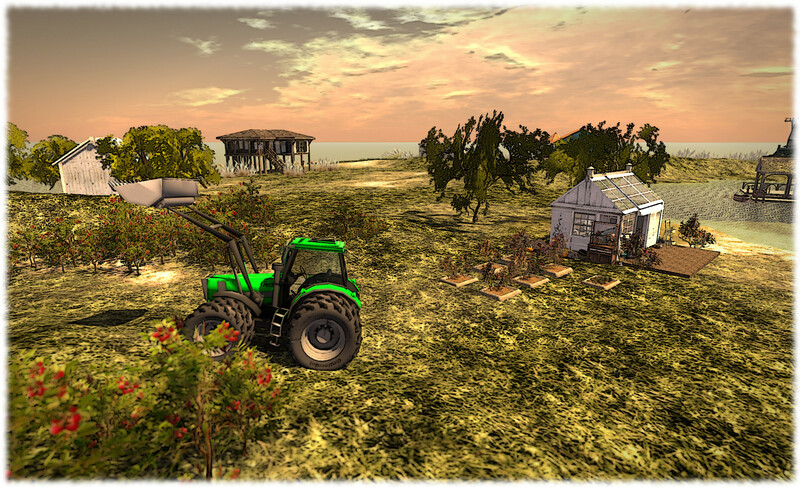 ), and a new rural / farm scene complete with green house, crops and plants and beasty of a tractor. These all combine to add a range of filming / photography options in a natural, open setting. Up in the air there have been quite a few changes / updates since my last visit. The “green platform”, now called Sage, has received a number of new additions. There’s now a pond with a water wheel, a little campsite with caravan and barbecue, and a play area with a roundabout. 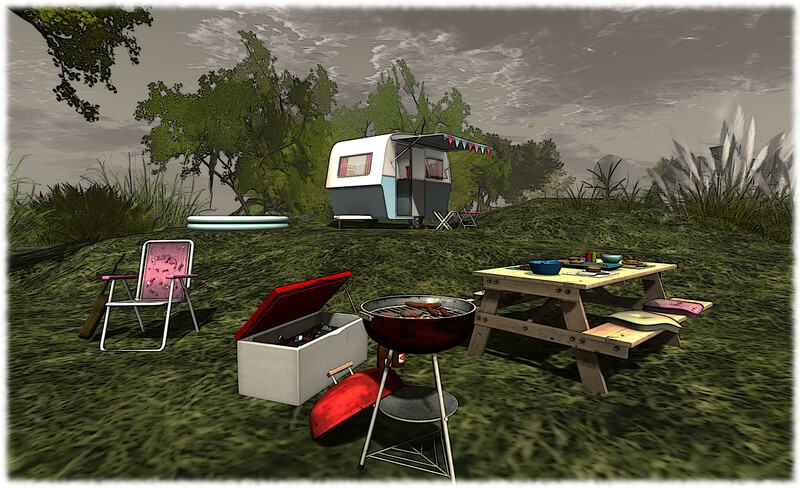 The seats outside of the caravan are scripted, as are the places around the table set for a meal from the barbecue, which also give out utensils, etc. Not far from it, and sitting as another outdoor set which could be used with it or those on the ground as well as suiting a period setting, is Cherry Blossom Romance, which looks particularly inviting at sunset. 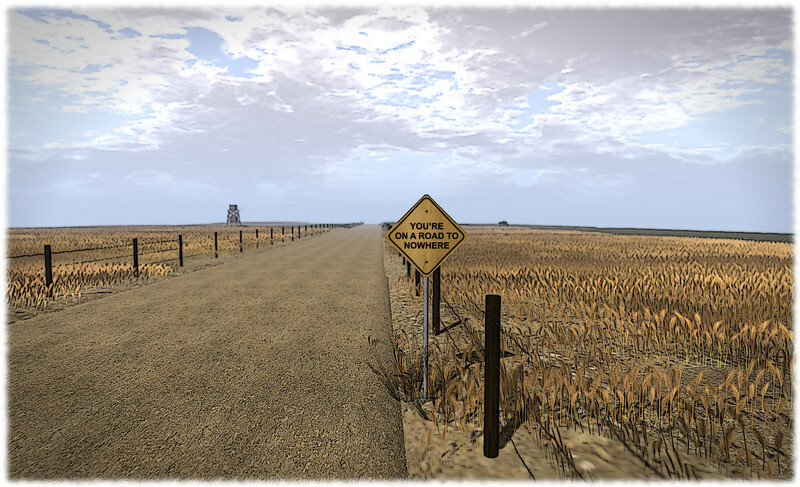 While the Country Road continues the outdoor theme and features a long stretch of open prairie land road, with a water tower and a tractor out in the fields. For those looking for something more urban, there is the full sim city I looked at last time I visited MOSP, and to which has been added the City of Lost Souls, a backstreet set with both an exterior street and several interiors which show the grungy side of town after dark. Several of the sets I’ve previously visited have been given an overhaul as well, including the village, while a new set, Something Wretched, provides something for those into the horror / mystery / gothic scene, with a build incorporating materials for added depth. 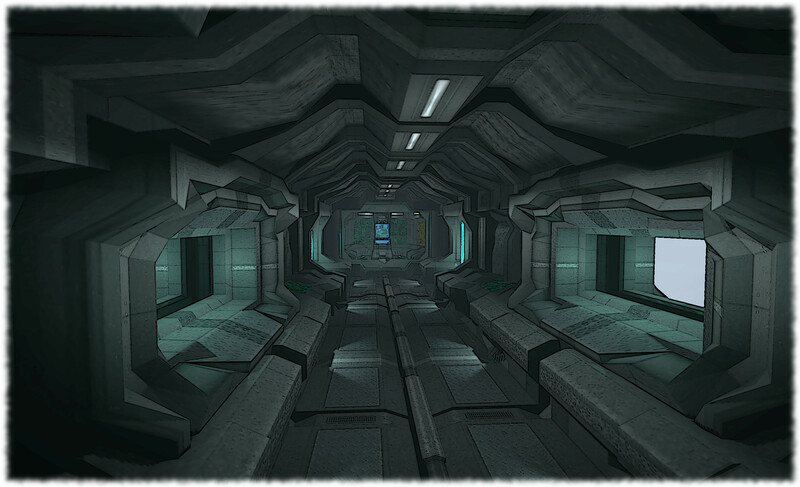 Sci-fi film-makers are not left out either, as there is a ship’s interior which provides a corridor and a control room, and which has sections that are transparent from the outside to enable freer camera movement. I’ve no idea if more ship parts are planned, but would assume they can be provided were there a demand. The great thing about this project is that it is always being updated and new sets are always appearing. This makes listing all the changes a little hard – but if you’re into machinima and want to track what is going on and whether there are sets appearing which may interest you, then make sure you keep an eye on Chic’s own MOSP blog. Don’t forget as well that there are always things being added around the sound stages, which offer smaller set-piece opportunities for filming, and the corporate offices, which can be used for a wide variety of roles. You can get the LMs for these from the arrival point, together with LMs to all the other sets / areas. Whether you are a machinima maker or a photographer, if you haven’t visited MOSP before, it is worth while taking the time to do so; you never know what you might find there to help with a given project, and Chic herself can easily be reached to provide assistance and advice, if needed.